Where Do Turkeys Come From? The name of the Turkey came from Europe before America was colonized and was originally applied to the guinea fowl. When European explorers saw an American bird that reminded them of the guinea fowl back home, they called it a turkey as well, and the name stuck. Incidentally, there’s a widespread myth that the country Turkey got its name from the bird, some say the country looks like the outline of a turkey. Chinese records that go back as early as A.D. 500 clearly talk of the Tu-Kues, the ancestors of the Huns. Turkey was the name applied to the TuKues’ homeland. The domestic turkey is a descendant of the Wild Turkey and is a customary dish during Thanksgiving in North America and Christmas in many countries. 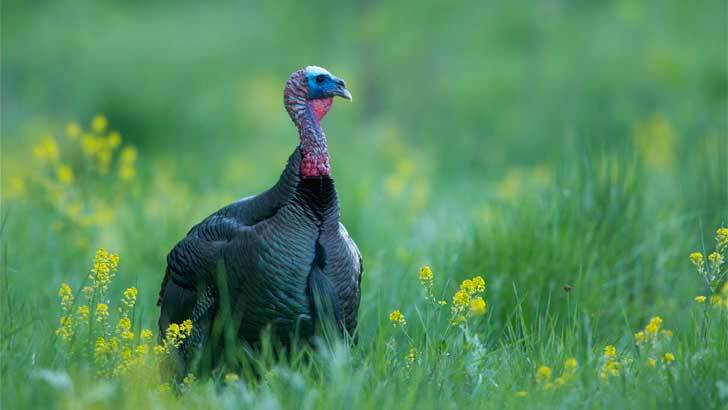 The Wild Turkey is native to North America and is the same species as the domestic turkey, which was domesticated from the South Mexican subspecies of the Wild Turkey. Why Do Turkeys Drown When It Rains and Where Did the Myth Come From? Why Does March Come “In Like a Lion and Out Like a Lamb” and Where Did the Expression Come From?